Are you tired of spending time researching and resourcing in order to plan an engaging activity for all capability levels? Thematic Activity Plans puts the fun back into Activity! The concept is simple, choose one "theme" and create a full activity plan around that one theme. To build excitement, the plans end with a theme party finale that ties all activities from the week into one, fun day. 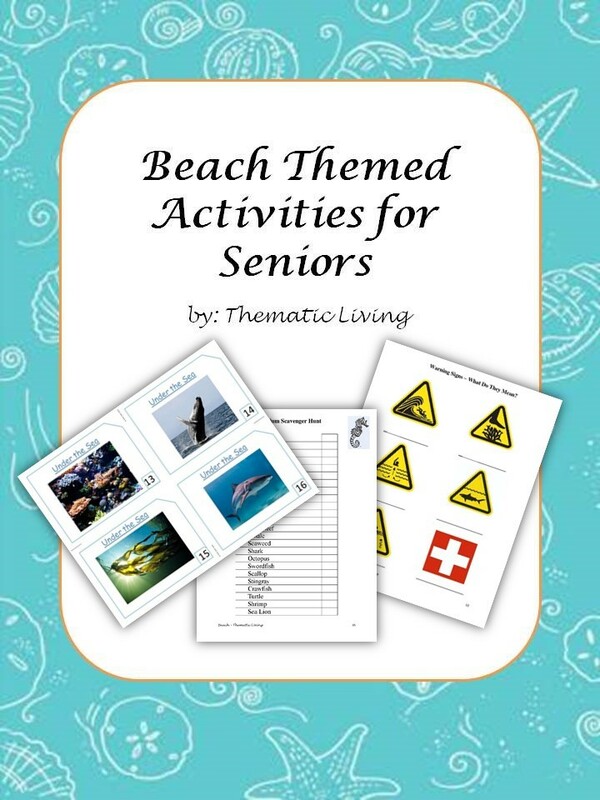 For example, the "Beach" theme party would include Hot Dogs/Hamburgers, summer traditions, sayings/proverbs, sensory stimulation, as well as, physical and cognitive activities. This structure allows everyone the opportunity to stay on task due to only needing to focus on one theme at a time, while offering various activities ensures that you have something that appeals to everyone. Many activities can be adapted to be used with individuals who have a mild to moderate form of dementia, as well as, those who may be deaf, blind, or mute. Buy it once and use it for a lifetime.